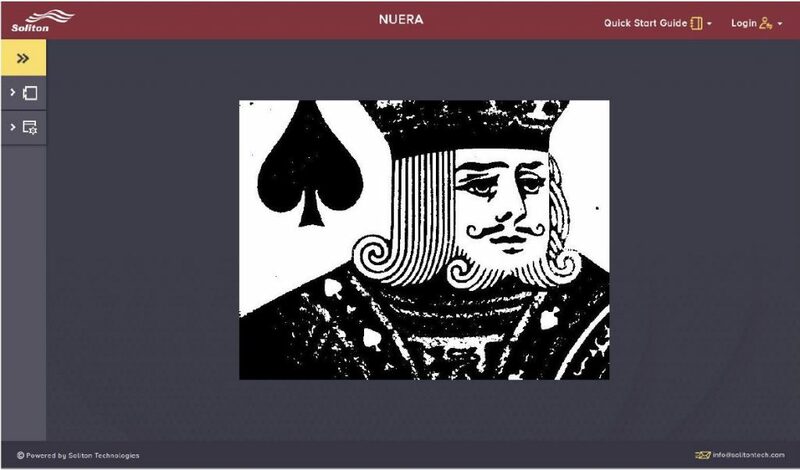 ‘ input_image ’ – the input image captured by the NUERA image sensor. 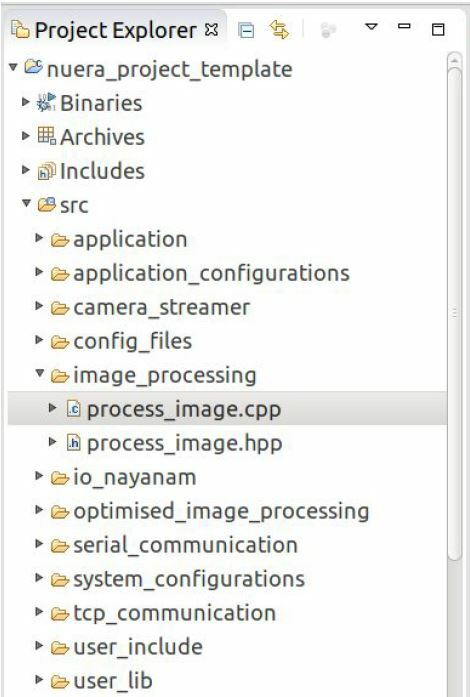 ‘ output_image ’ – the processed image, which gets displayed on the WebGUI. Results will be stored in this image. ‘ app_variable ’- a data structure which contains the application variables. Application variables can be used to configure values . The image above demonstrates addition of a simple image processing code. Grayscale-to-Binary conversion is the image processing function added to process_image(). The OpenCV function used is threshold(), to understand threshold(), refer this . GUI. WebGUI will show the result image which was stored in output_img buffer.